Boland’s basketball career began at just 5 years old, and she’s been playing ever since. Transitioning to collegiate play felt like a natural choice for her. “I guess I’d just been playing my whole life and I got super into it and really passionate about it, and I knew that I could go to a school to further my education and athletic career, so I feel like it was in my best interests,” Boland said. She chose Binghamton based on the environment of the team and the close proximity to her home in Clifton Park, New York. Facing major shakeups in the team’s atmosphere this year due to the loss of players and former BU head coach Linda Cimino, Boland seemed optimistic about the upcoming season. “I think the coaching change has allowed us … to have more chemistry on the court and enjoy each other on the court more, and I feel like it’s a good change that we needed,” Boland said. She further asserted that though Watkins and James contributed to the team in a major way, filling their shoes would not be impossible. In the 2017-18 season, Boland averaged 4.5 points per game, tied for sixth in the America East (AE) Conference for blocks and earned her first career double-double with 14 points and 14 rebounds. But her goal this season is to focus more on playing as a team. “[I want to] become a better passer, probably, and set my teammates up for more baskets,” Boland said. Boland also made clear that the women’s basketball team would be in hot pursuit of the AE Championship title this year. Last season, they qualified for the postseason conference tournament for the second time in program history, but were eliminated in the first round after a deflating loss to the University of Hartford. 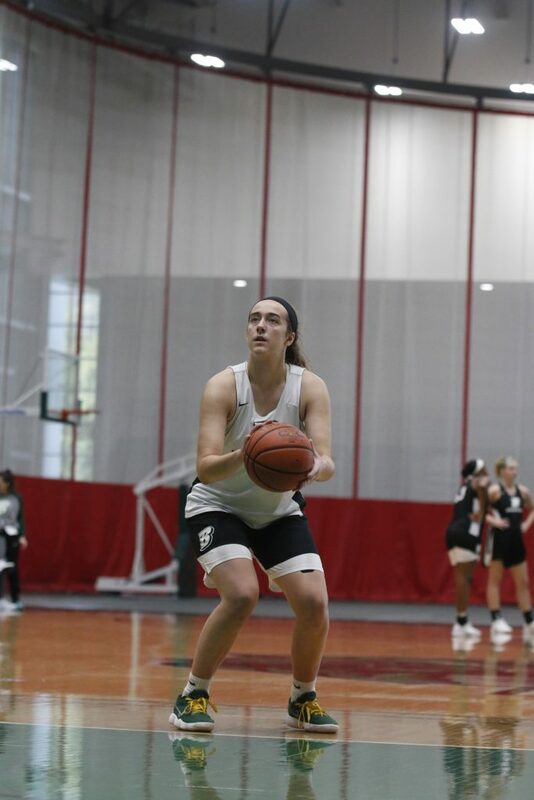 Strapped with more play time and a desire to shine both individually and as a team, Boland is certainly well-equipped to make a big impact this year, but it’s her love of basketball that truly draws her to the court.